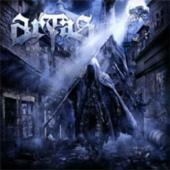 Austrian band ARTAS has been around for five years, and they have won Metalchamp 2007, plus released two albums, this included. Modern metal is the preferred flavor, mixed vocals, lyrics in several languages, double bass drumming plus mix and mastering by Jacob Hansen (HATESPHERE, HEAVEN SHALL BURN etc.). How did this turn out then?